Brian Tracy shares the most important principles for sales success he has discovered in 30 years of training more than a half million sales professionals in 23 countries. 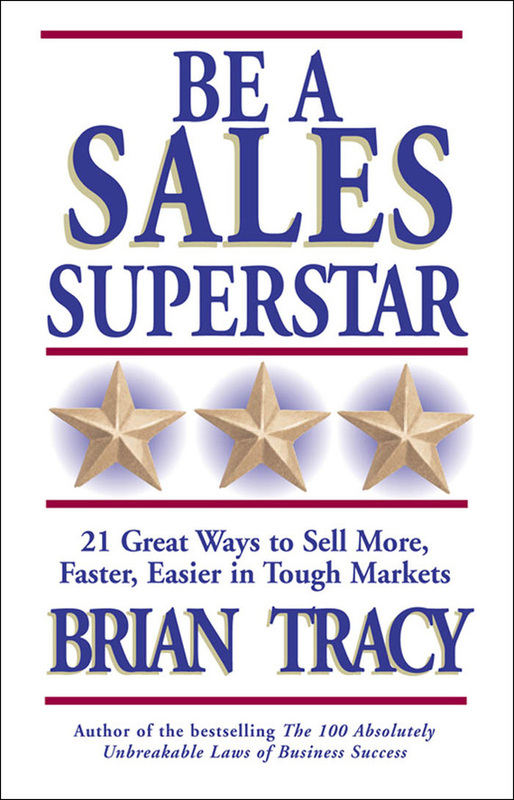 Based on Tracy’s detailed discussions with top salespeople and his keen observation of their methods, as well as his own experiences as a record-breaking salesman, these guidelines address both the inner game of selling—the mental component—and the outer game of selling—the methods and techniques of actually making the sale. Concise and action-oriented, Be a Sales Superstar is a handbook for busy sales professionals, providing key ideas and techniques that will immediately increase your effectiveness and boost your results. Brian Tracy shows you how to: • Get more and better appointments, easier; • Build high rapport in the first few minutes; • Make better, more effective sales presentations • Close more sales faster than ever before Apply Tracy’s 21 great ways to be a superstar salesperson, and your success in selling will become unlimited.